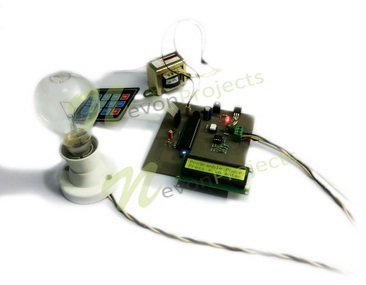 The project is a system that uses a microcontroller to maintain the illumination of a lamp by controlling a thyristor. The illumination is maintained by varying the voltage across it. 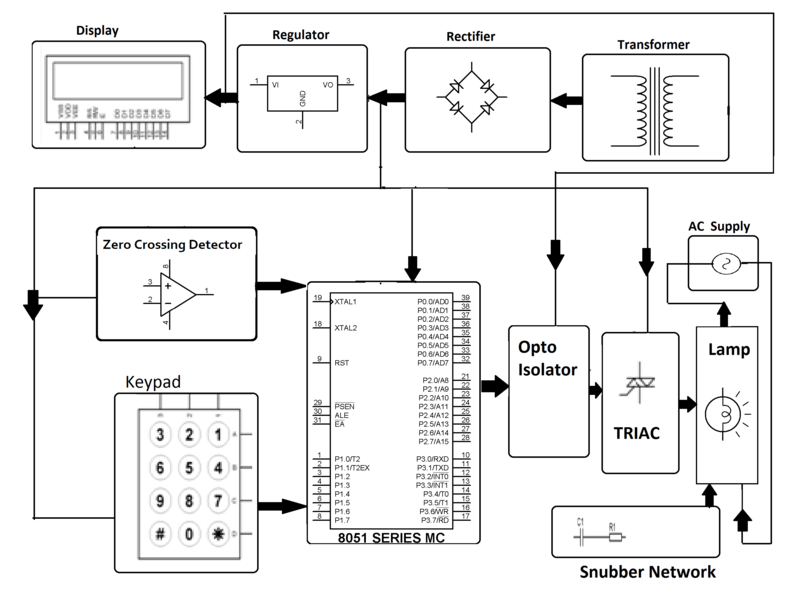 The system uses the concept of firing angle control of thyristors. A matrix keypad is used to enter the percentage of illumination required by user. This input is fed to microcontroller which automatically initiates the firing angle control of thyristors and adjusts the power supplied to the lamp with the help of a solid state switching mechanism.